Anti-fatigue mats are placed or fitted into hard floor surfaces and reduce fatigue caused by standing on flooring for long periods. Anti-fatigue matting helps in increasing productivity, reducing daily physical pressures placed on the body. 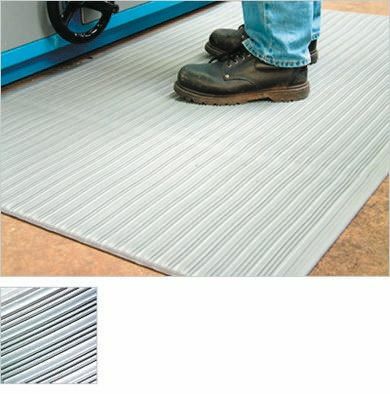 Choose the anti-fatigue mat suitable for the environment you are working in whether it is in the home or at work. 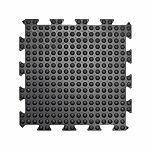 Mats are available in various forms and materials acting as a barrier by absorbing shocks from floor surfaces. 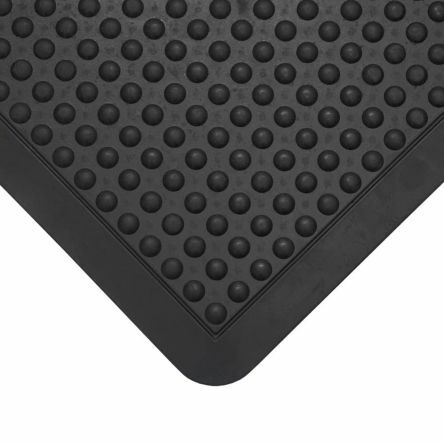 An Anti-fatigue mat helps reduce health problems caused by standing for long periods. The mats reduce pressure on legs, feet and your back. The mat reduces stress placed on the body protecting you from a hard floor surface and protects you from a damp or wet floor surface. How to select the correct anti-fatigue floor mat? Understand the exact purpose of the mat and what the anti-fatigue mat is to be used for. Choose a mat that meets your requirement. Understand the environment the anti-fatigue mat is used within. Consider the edging of the floor mat. This helps in avoiding trip and slip hazards. Understand how the mat is to be cleaned. Important if used within a feed industry environment. Understand the importance of the thickness of the mat. 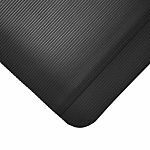 What protection does the anti-fatigue mat provide? Reduces body stress especially in the feet, legs and back plus blood flow and circulation. 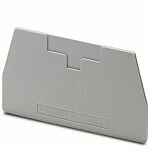 Types of Anti-Fatigue mat available? There is a mat available for all types if home and commercial areas. Mats are made of rubber, carpet material, vinyl, foam, PVC, EPDM foam. Rubber mats are especially useful in wet or damp areas as they allow water and other fluids to drain away from the surface area. Rubber mats are easy to clean. Interlinking floor mats are available and you but then in pieces that are put together like a jigsaw puzzle. The floor mat is put together to fit the floor area and locks together for a safe and secure fit. Edging is also available for this type of mat reducing trips hazards. Interlocking tile version of bubble surface mat. Three modules can be linked together to cover any shaped area.Raised bubbled surface to stimulate blood circulation.Soft but sturdy rubber material offers comfort from cold hard concrete floors.